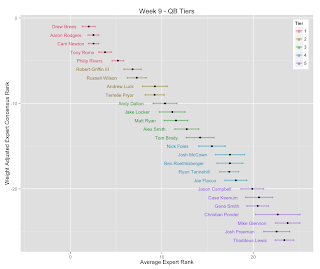 Terrelle Pryor sneaks into tier 2 this week mostly due to his matchup (vs PHI, 9th for QB), despite not being an effective passer after his 93-yard run last week. Tier 3 is an interesting QB group. 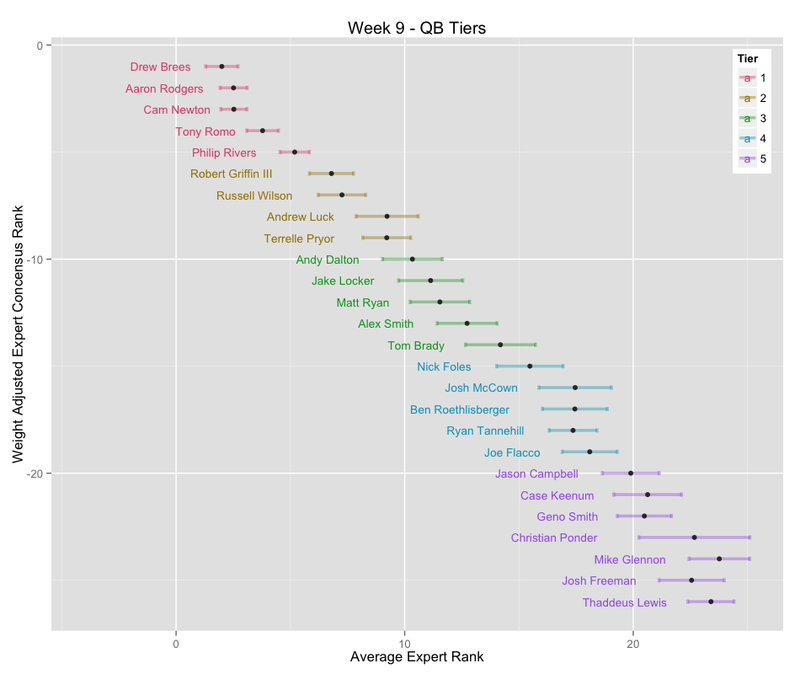 We have red hot Andy Dalton, Jake Locker, and Alex Smith on the rise. We also have Matt Ryan who threw 4 picks last week and is still without Roddy White, and Tom Brady who has struggled all year and faces PIT (29th for QB).